In this first African Urbanism Conversation, participants discuss the urban development, social, political, economic and environmental context of Agbogbloshie and Old Fadama, often typified as “Africa’s largest e-waste dump.” The conversation provides local context for a better understanding of what’s happening in Agbogbloshie and Old Fadama, and how the sites are intricately interlinked and connected to Accra’s urban development and economy. This conversation then challenges existing definitions and ideas about informal settlements/slums, “e-waste” and human productivity. Dr. Kwadwo Ohene Sarfoh, Country Team Leader for Cities Alliance, Convenor of the Ghana Urban Platform, and Advisor to People’s Dialogue on Human Settlements (a Ghanaian NGO engaging informal settlement/slum communities and local government). 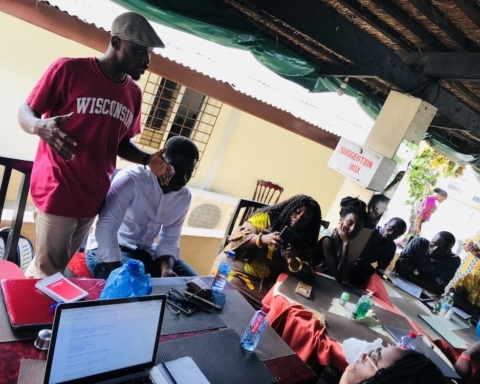 Dk Osseo-Asare and Dr. Yasmine Abbas, co-leads of Agbogbloshie Makerspace Platform (AMP), a transnational, youth-driven project to promote “maker” ecosystems in Africa, starting in Agbogbloshie. AMP works with makers to protype tools and to co-create a digital and physical platform for recycling, making, sharing and trading. Dagna Drzazdzewska, PhD student in the Department of Social and Political Science at the University of Lausanne, researching urban management and the politics and economies at the heart of slum communities/informal settlements in Ghana, particularly in Old Fadama and Agbogbloshie. What’s the distinction to be made between Old Fadama and Agbogbloshie? How have waves of migration and settlement shaped Old Fadama? 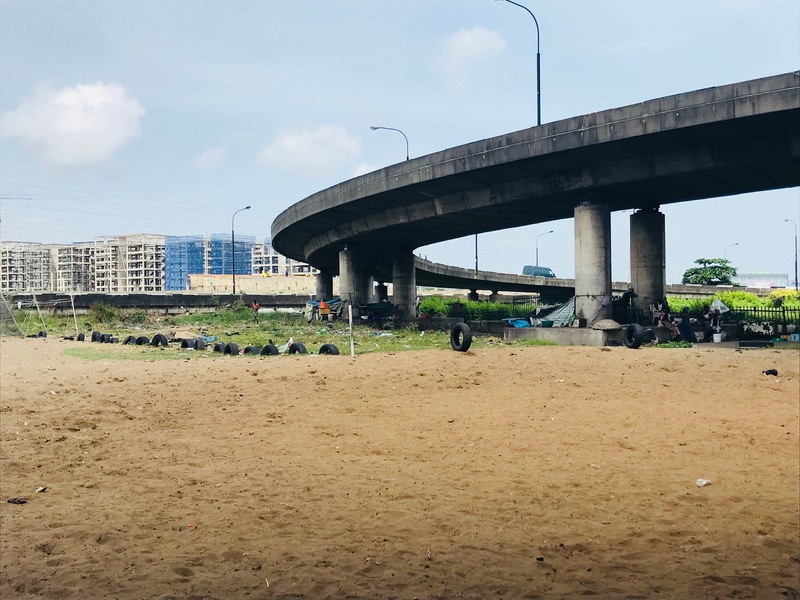 How is Agbogbloshie connected to and contributing toward Accra’s urban economy? 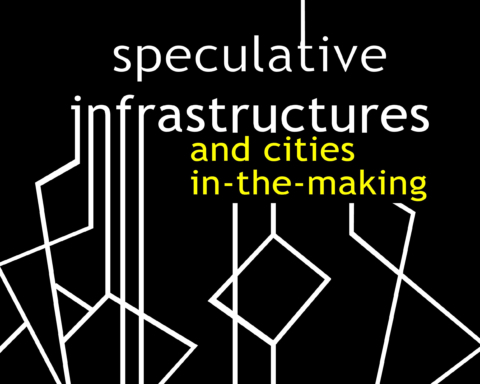 What are the local power hierarchies in this space? What are the local dynamics by which land is “owned,” informally distributed, re-distributed, sold in Old Fadama? Following the June 2015 demolitions, hundreds of homes, businesses, places of work were destroyed. What’s the security of tenure situation for what exists there now? How can initiatives like AMP work with community to build a new future of Agbogbloshie? When people simply label Agbogbloshie as “Africa’s largest e-waste dump,” what are they missing out on? Tom Gillespie (2015). “Accumulation by urban dispossession: Struggles over urban space in Accra, Ghana.” Transactions: Volume 41, Issue 1. Richard Grant and Martin Oteng-Ababio (2012). “Mapping the invisible and real ‘African’ economy: Urban e-waste circuitry.” Urban Geography: Volume 33, Issue 1. Muriel Yeboah (2008). Gender and livelihoods: Mapping the economic strategies of head porters in Accra, Ghana. PhD Dissertation, West Virginia University. Amnesty International (2012). Report: ‘When we sleep, We don’t sleep’: Living under the threat of forced eviction in Ghana. Farouk Braimah and Owusu Mensah (2012). 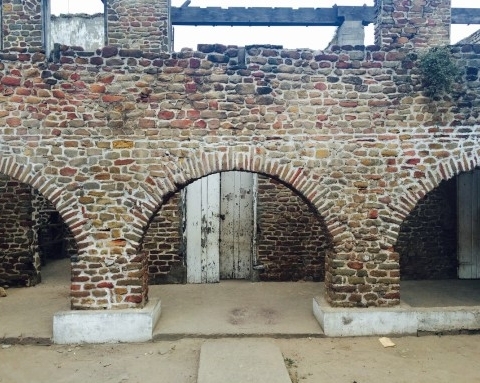 “‘If in doubt, count’: The role of community-driven enumerations in blocking eviction in Old Fadama, Accra.” Environment and Urbanization: Volume 24, Issue 1. UN-Habitat (2007). Global Report on Human Settlements: Enhancing Urban Safety and Security. Mohammed Awal and Jeffrey Paller (2016). Who really governs urban Ghana? Africa Research Institute. Jeffrey Paller (August 2012). 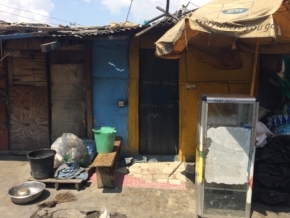 Briefing Paper: Political accountability in Ghanaian slums: Evidence from the grassroots. Ghana Center for Democratic Development. Housing the Masses (January 2010). Final Report: Community-led enumeration of Old Fadama community, Accra, Ghana. Adam Minter (2016). “The burning truth behind an e-waste dump in Africa.” The Smithsonian. Dominic Moses Awiah (2015). “Forced evictions, human rights violation – slumdwellers.” Daily Graphic. Karim Ridwan Dini Osman (2015). Massive demolition at Old Fadama, Accra (video). Yepoka Yeebo (2014). “The bridge to Sodom and Gomorrah.” The Big Roundtable. Yepoka Yeebo (2014). “Inside a massive electronics graveyard.” The Atlantic.